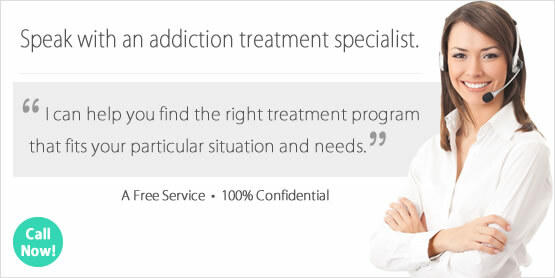 Looking for a Drug Rehab or Alcohol Rehabilitation Center in Louisiana? There is no reason for anyone in Louisiana to struggle with any type of substance abuse issue. There are drug rehab programs in the state which can rehabilitate residents completely so that they can have the quality of life they want, if they are willing to work for it. There isn't a magic formula and there are always challenges, particularly when someone has struggled with a chronic long term drug or alcohol problem. So the time to act is now, and the sooner someone makes it to drug rehab in Louisiana the better their chances of experiencing the best results from drug rehab. So speak with a drug treatment counselor right away if you need help, or perhaps in someone you care about needs help. They can tell you everything you need to know about drug rehab in Louisiana and help you get the process started as soon as possible. In a single-day count in 2013, 9,903 individuals in Louisiana were enrolled in some type of substance use treatment in the state, a decrease from 13,829 individuals in 2009 and a figure which has been steadily decreasing over the past several years. Alcohol abuse is a primary problem in Louisiana and this starts at a very early age, with 24% of 8th grade youth reporting past month use of alcohol as opposed to 16% nationally. Among adults in Louisiana, the state consistently ranks among the highest in several categories, including illicit drug dependence among residents ages 12 and older. Cocaine is a very popular drug of abuse in Louisiana for example, and Louisiana ranks in the top ten of states for past year use of the drug. Louisiana is also faced with a very serious problem of prescription drug abuse, which has particularly impacted the 18 to 25 year-old age bracket, with 12% of Louisiana residents so-aged having abused prescription drugs for non-medical purposes within the past year. Because the alcohol abuse problem is so pronounced in the state of Louisiana, it is an anomaly that only 6% of the 224,000 individuals aged 12 or older who report alcohol dependence or abuse within the past year received treatment for it. One aspect of this problem is that alcohol use, abuse, and dependence are so ingrained in the culture in the state an alcohol problem is something that is accepted as part of the norm. So it takes due diligence to call an alcohol problem what it is, a serious and life-threatening problem among Louisiana residents, so that they can make the lifestyle changes they need to make so they can be sober. This is best accomplished in an inpatient or residential facility which provides alcohol treatment in the state. There are only around 125 drug rehab programs in the state of Louisiana, with over 75% of these programs providing outpatient treatment. Not surprisingly, there are around 15 programs catering to nearly 2,000 opiate maintenance clients in Louisiana, which are facilities which administer prescription opiates daily to help clients with cravings and withdrawal, but don't typically deliver treatment beyond this. Opiate dependent clients have other avenues to take, if they want to be truly free of any drug dependence. Although it will be more challenging, it will be far more rewarding to get through the initial trials of opiate abstinence and receive intensive treatment in an inpatient or residential facility in Louisiana that know how to effectively treatment opiate addiction without drugs. There are residential non-hospital programs, and 16 hospital inpatient programs that individuals can look into for an alternative to opiate maintenance and outpatient treatment in general. What does Inpatient Rehab in Louisiana Involve? In Louisiana, 25 of the residential non-hospital treatment facilities provide short-term 30-day treatment and 40 provide long-term treatment. The 15 hospital inpatient facilities in Louisiana provide lengths of treatment which can vary depending on individual circumstances. The longest amount of treatment possible is what chronically addicted clients are going to want to look into, if they are serious about getting sober. Individuals who have chronic long-term drug or alcohol problems and think something less aggressive is going to work are often just setting themselves up for another failure. So when outpatient treatment and short-term treatment hasn't worked, long-term inpatient or residential treatment is going to be the next step. Clients in long-term inpatient or residential treatment in Louisiana will receive a tailored treatment plan which is based on an assessment of their needs. So treatment can center on more individualized approaches, and may include individual and group substance abuse therapy and counseling, cognitive behavioral therapy, holistic treatment, and steps to address a dual-diagnosis if it is determined that the individual needs to address a co-occurring mental health disorder. What does Outpatient Rehab in Louisiana Involve? Nearly 25% of the clients in outpatient treatment in Louisiana are taking part in opiate maintenance services, and receiving no other treatment beyond this. If they want to remain drug dependent indefinitely, this is their choice but one which will continue to impact their quality of life. Opiate maintenance can be a logistical and financial burden, and one which doesn't have to exist if the individuals receives proper treatment. So for anyone in Louisiana who has an opiate dependence and is interested in an alternative to indefinite opiate maintenance therapy, they should truly look beyond the outpatient options entirely and truly dedicate themselves to the rehabilitation process in an inpatient or residential facility experienced in treating opiate addiction holistically. In regular outpatient treatment in Louisiana, individuals can expect to receive traditional counseling and therapy services, and most of these programs facilitate the 12-step method. Some of the more intensive programs provide additional services such as dual diagnosis treatment as well.